I believe that right minded people generally try to put themselves in the shoes of others and do so graciously. Of course, we can never know exactly how another person is feeling but we can imagine and act accordingly. A few weeks ago I was at a symposium for victims of homicide hosted by the Ontario Provincial Police (O.P.P.). One of my co-presenters was Donna French (Kristen French’s Mum). It was the first time I had met her and her charming husband. As she spoke my heart ached for her, as I’m sure the entire country understands. For those of you not living in Canada, Kristen French and Lesley Mahaffy were beautiful young girls abducted and tortured by Paul Bernardo. He and his wife video taped these sexually sadistic acts of torture and it’s those tapes to which I will be referring. Sadly for the girls’ families, Paul Bernardo is front page news again because he has been corresponding from his cell with a young woman and plans on marrying. Certainly the families and probably most Canadians can’t understand why this is possible for a dangerous offender and are deeply disturbed. In her presentation, Donna French’s voice betrayed her as she expressed the guilt she and her husband felt for not protecting Kristen. But she regained her resolve and conviction when she emphasized how much they needed to protect their daughter even after death. Now, they alone, must be her voice. They could not save her but they would fight with their last breath to preserve her dignity. The video tapes could never see the light of day—end of story. Of course I understand this completely, but still, I wonder if I would be able to comprehend this all-encompassing primal protectiveness if I hadn’t “been there” to some degree, or indeed, if we had no children. Rosie Dimanno from The Toronto Star wrote an article on women who marry convicted felons but felt the need to add this bit at the beginning as a dig to the justice system and the family. 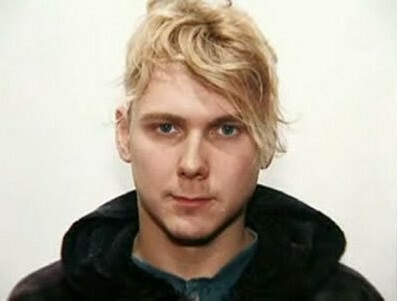 “It should be simple enough to convince one of Paul Bernardo’s witless devotees that the convicted schoolgirl killer committed the horrific crimes for which he’s serving a life sentence. Oh, right. Can’t do that. Six hours of home-shot tape, played for a jury — only the audio part was heard by the public gallery, in a Solomonic decision rendered by Justice Patrick LeSage — doesn’t exist any more. Now I understand the common sense behind Rosie’s reasoning, and have not forgotten her sympathy and understanding for us, as victims, during our own time in court, but this is one point on which we vehemently disagree. More than anything it’s the flippant tone that gets my blood boiling. How dare she? Those of us who believe in the equitable treatment of victims are fighting to change a system rooted in favour of the accused, a system that bends over backwards to be sure that each alleged felon is treated fairly and with every possible understanding. I find her comments incredulous! Even if you, as a reader, have no children of your own, I ask you: would you, in this internet age, want to take any chances of having horrible phot0s or videos of a loved one, stripped of clothing, in degrading and tortuous situations, going viral? Wouldn’t you want to protect them from this horrendous indignity, even more so, after they are dead and unable to speak for themselves? 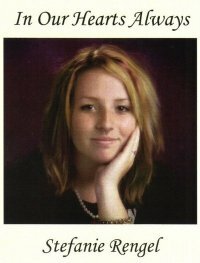 We asked that the jury not be allowed to see the autopsy pictures of Stefanie, knowing how it would have made her feel. Is it any wonder that the French and Mahaffy families campaigned tirelessly, hiring their own lawyer to fight for this right, even at the expense of their own health? My mother summed up the unbalanced swing towards the accused in the victim impact statement she wrote and read at Stefanie’s trial. “Throughout the course of this trial Melissa has been given every possible courtesy, respect and concession. Yet, when she decided, for her own imagined reasons, that Stefanie was getting in the way of her happiness, the decision was made and the sentence, carried out. If only Rosie Dimanno could put herself in the shoes of those who have suffered what she wouldn’t wish on her worst enemy. To get back to the common sense of her argument, however, I do not believe that Paul Bernardo’s intended—the “witless devotee”—would be persuaded by videos or any other form of proof, because you simply can’t fix “stupid”. This entry was posted in Criminal court, Guilt, The Media. Bookmark the permalink. This article brings to mind the fight that the family of Nikki Catsouras had to go through, unfortunately in vain, to keep the pictures of her horribly mangled body off the web after a much publicized crash. Apparently, people seemed to take great pleasure in emailing these photos to her parents and siblings. Others make comments such as ‘she got what she deserved.’ and ‘too bad about the Porsche.’ Why? No family should have to lose a child, having to do so in public is beyond comprehension for most of us. But, tack on the inevitable taunts and glib remarks of cowardly armchair warriors hiding behind their computer screens, safe from the glare of the ‘real world’? That’s torture. And, I agree again, you can’t fix stupid. You also can’t fix attention seeking individuals, such as Bernardo’s ‘intended’. And, apparently, you also can’t seem to fix a system that should have kept this monster completely isolated from human contact. There shouldn’t BE an ‘intended’ ANYONE. I agree with your Mum and she DID say it beautifully Patti, the courts are far too intent on making sure the guilty are protected at every turn. A perfect example. Thanks for underscoring my point. I received my book last week & I just wanted to say thanks!! So glad to hear it arrived. Sorry about the delay!